I hope everyone had as wonderful Thanksgiving weekend as I did. My home was full to bursting on Thanksgiving with friends and family and it was fabulous! In little snatches of time I worked on quilting one of the quilts I basted last week. Do you notice that my broken dishes blocks have found a home? I can only give you a sneak peek of this quilt though. 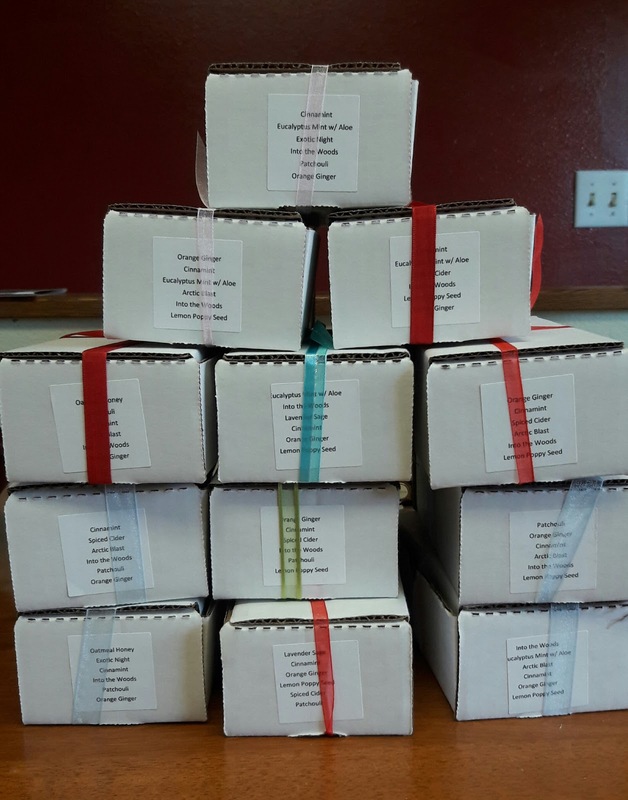 Thanks to everyone that purchased sampler gift packs last week. I had fun carefully packaging all your special Christmas gifts. I hope they are well received. At the moment I'm out of mini bars. 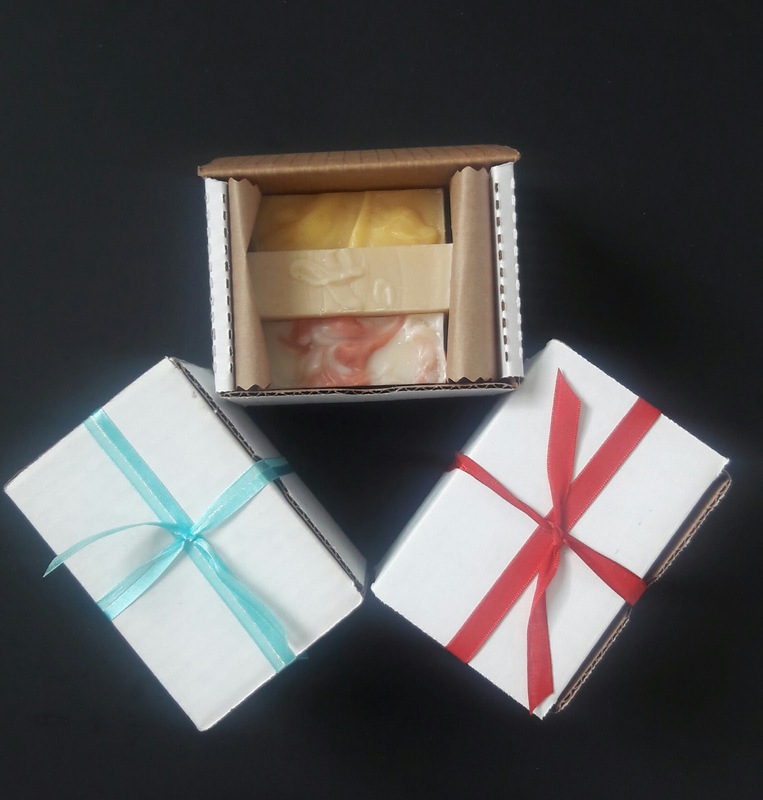 So I'm unable to sell anymore of these cute little gift boxes. I have added these sweeties to my shop and as luck would have it my sale is still going on. 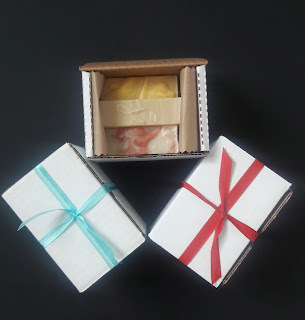 They are a collection of any three of my all natural bath size bars, carefully wrapped and tied with a bow. Under the tree or in a stocking they are sure to please. 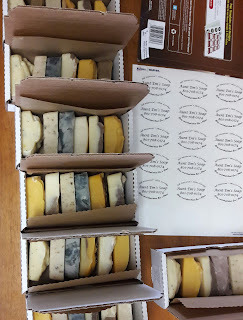 I will have more samplers just in time for Christmas. 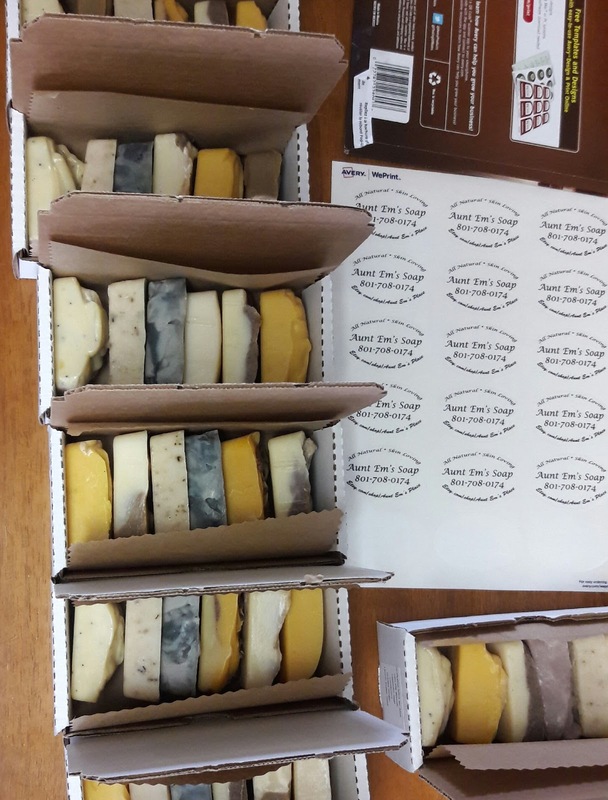 Just waiting for the soap to cure. What are you cooking up in your Santa shop/ sewing room? Link up and let us see, if it is safe to do so. We would love to see. I am cooking up Christmas hats for the littles. 2 by Dec 15th, 3 more by Dec 24th. And all those other things I want to sew right now!! Beautiful quilting on Broken Dishes. You are a busy lady! I love the soaps! Thank you so much...my quilting friends will absolutely love them! 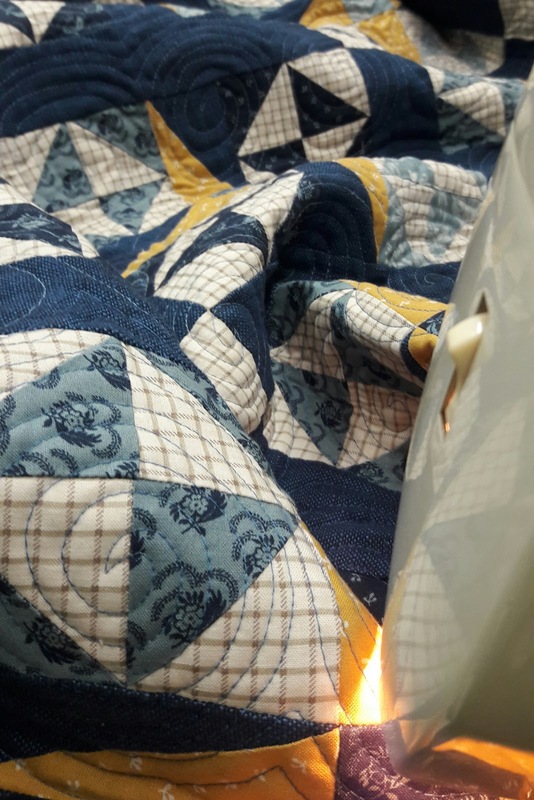 Great quilting on your broken dishes quilt. I've been thinking about making my own soap -- is it hard? Or more time consuming? Your packaging is really attractive. I love those colors in the Broken Dishes.